The 164th episode of AQUAMAN AND FIRESTORM: THE FIRE AND WATER PODCAST is now available for your listening pleasure! A proud member of the FIRE AND WATER PODCAST NETWORK! Shag and Rob discuss “Scavenger Hunt” from AQUAMAN #51 by Dan Abnett, Vicente Cifuentes, Juan Castro, and more. That’s followed by Firestorm in “United We Fall, Part 2” from LEGENDS OF TOMORROW #2 by Gerry Conway, Eduardo Pansica, Rob Hunter, and more! Plus YOUR Listener Feedback! Posted in: Firestorm #10: New 52 v2 (Ronnie/Jason), Firestorm #11: Legends of Tomorrow comic (Ronnie/Stein), Gerry Conway, Jason Rusch, Legends of Tomorrow, Podcast, Professor Martin Stein, Ronnie Raymond. 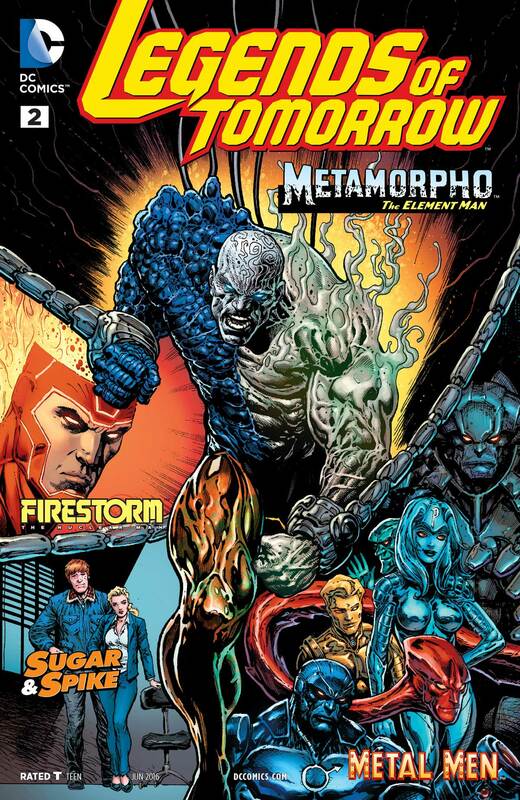 ← Buy classic Fury of Firestorm on Comixology!